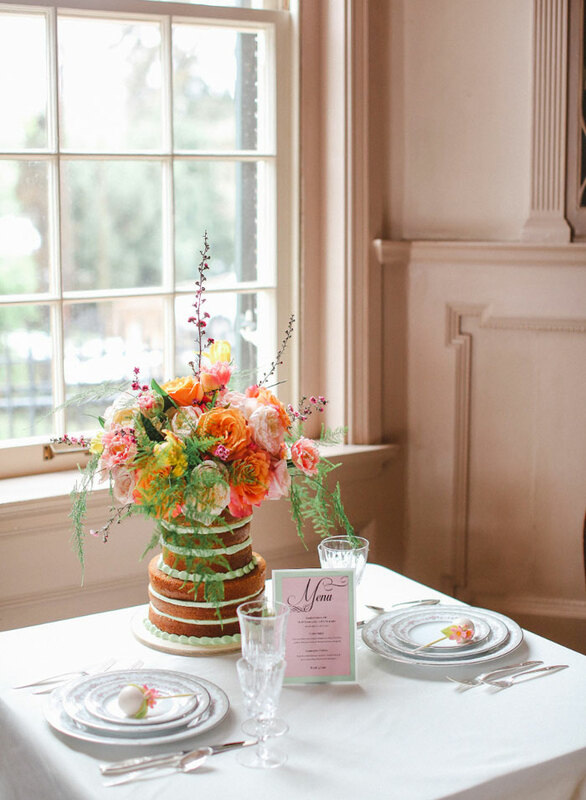 Holly of Love Letters Floral Design, came to us with this cheerful shoot that’s sure to brighten any day. 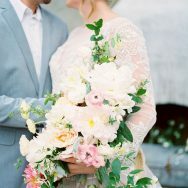 The concept is super-romantic—there’s an origami love letter tucked into the bridal bouquet and the new Mrs. would know “there was a heartfelt message waiting for her at the end of the night that only her eyes would see.” Enjoy the lovely images by the talented Laura Murray Photography. 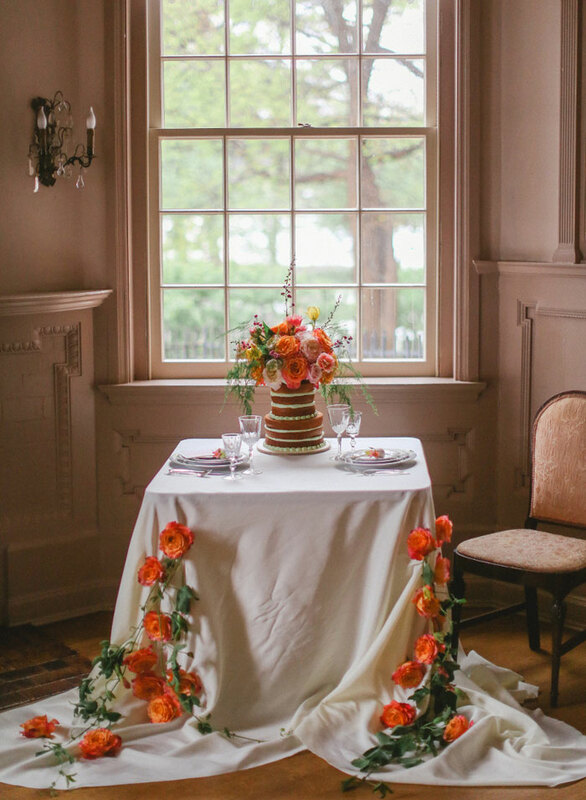 From the florist / creative director: This styled shoot, Love is in Bloom, came to life from the idea to incorporate a love letter into a bridal bouquet. 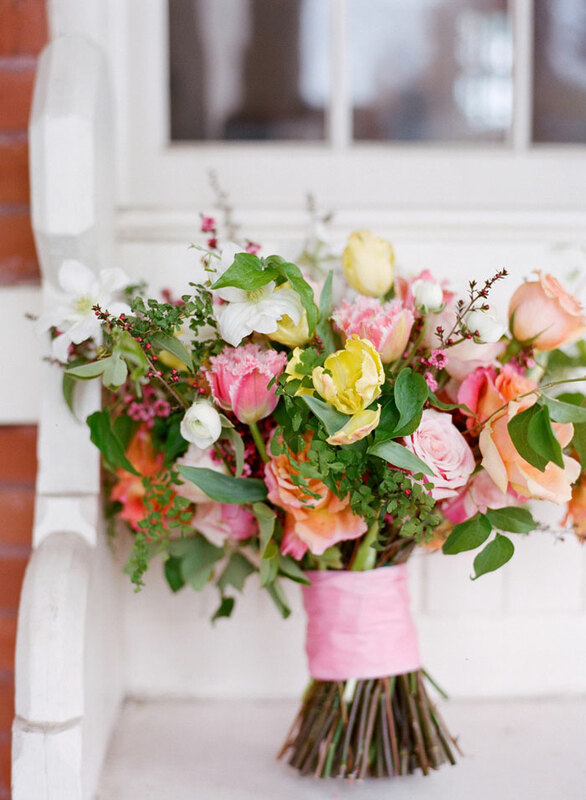 My floral design business, Love Letters Floral Design, solely focuses on weddings, which, hence, are all about love. Being a gal that likes cohesiveness, I wanted to distinctly tie the business name to my product. 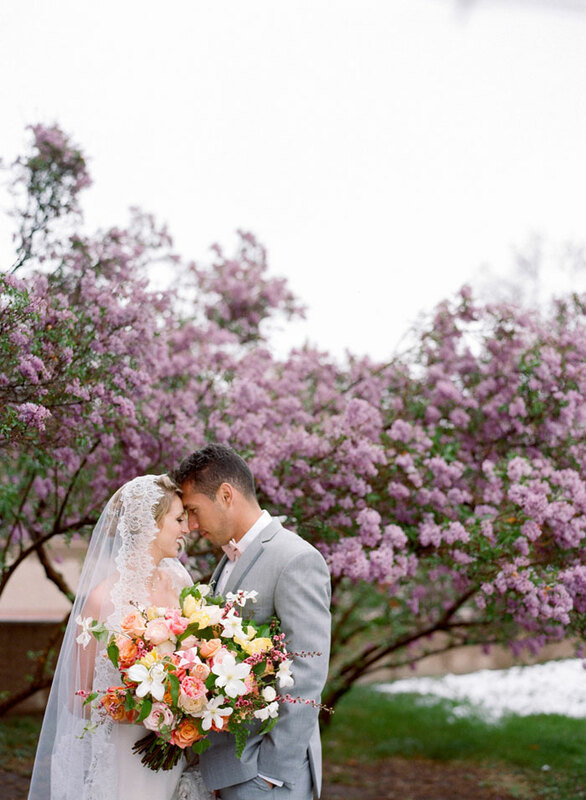 Consequently, the idea to incorporate a love letter into a bridal bouquet was born. 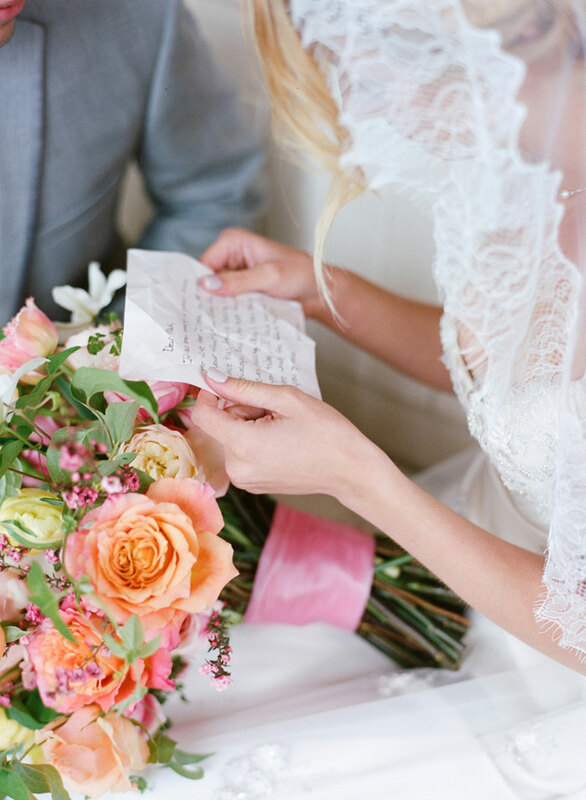 The love letter would be included through a hand-written letter turned into an origami flower. 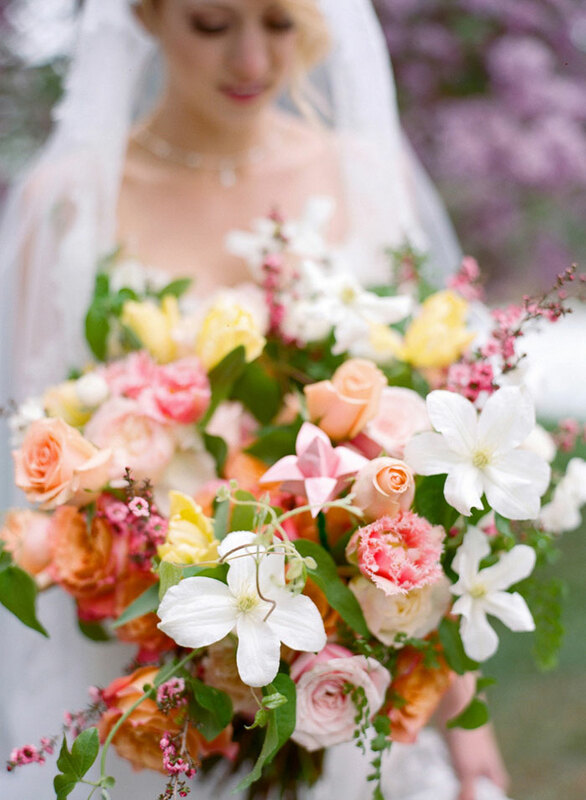 The flower would be a keepsake for the bride. 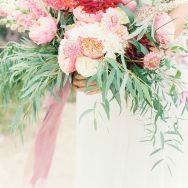 During a real wedding she would carry her bouquet throughout the ceremony and reception knowing there was a heartfelt message waiting for her at the end of the night that only her eyes would see. 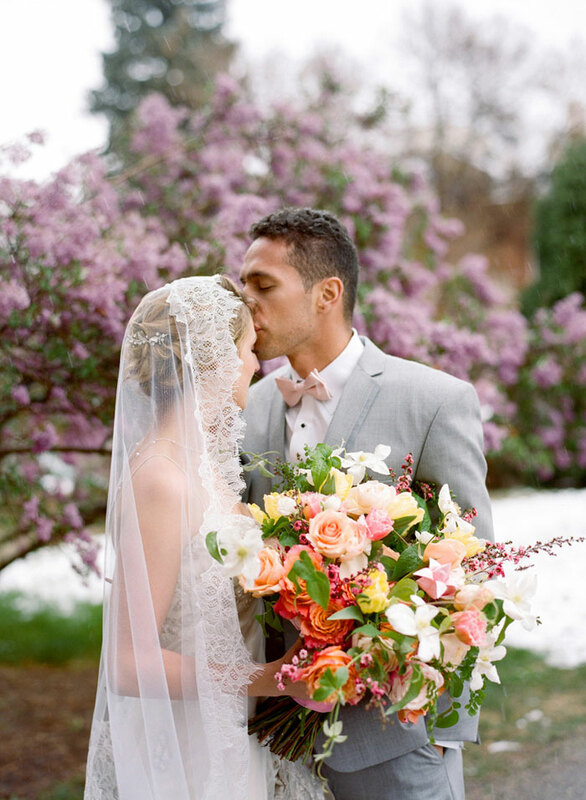 Spring Styled Shoot | Denver, CO | Colorado Wedding Videographer from Kels & Kate on Vimeo. 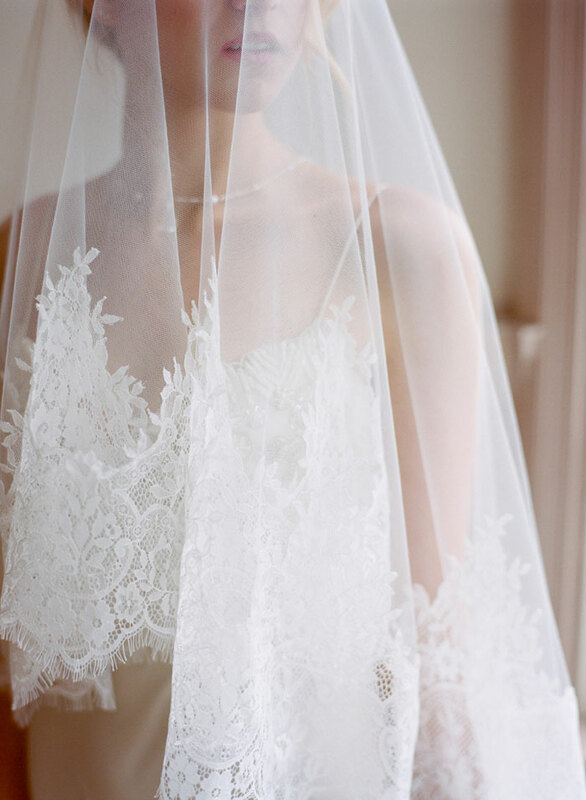 What a beautiful shoot! I LOVED the video and getting to see all the steps and vendors who put this together behind the scenes! 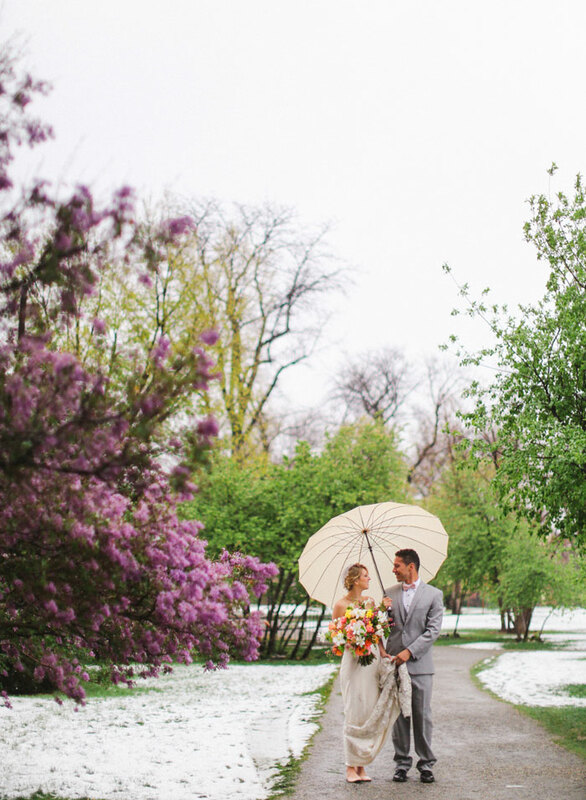 Nothing prettier than snow in spring and so cool to see it captured with movement in that film! 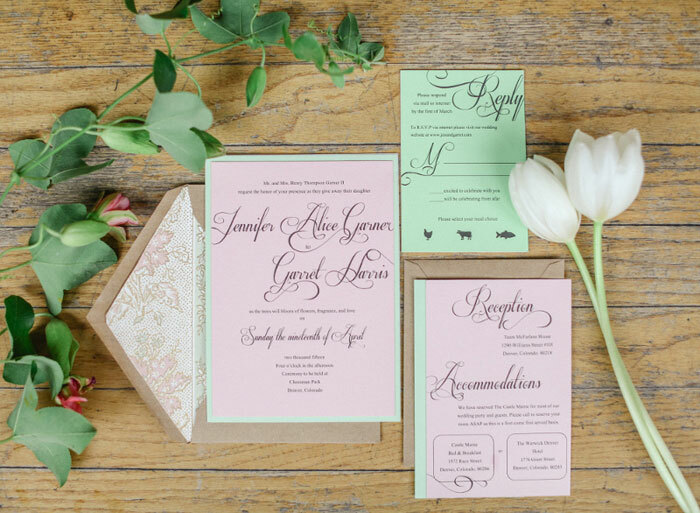 The origami love note is such a charming idea! 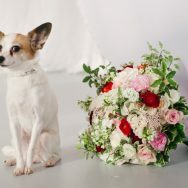 In love with the love note idea!! SO fun to see this come to life. A phenomenal behind the scenes look at what went into putting this together. 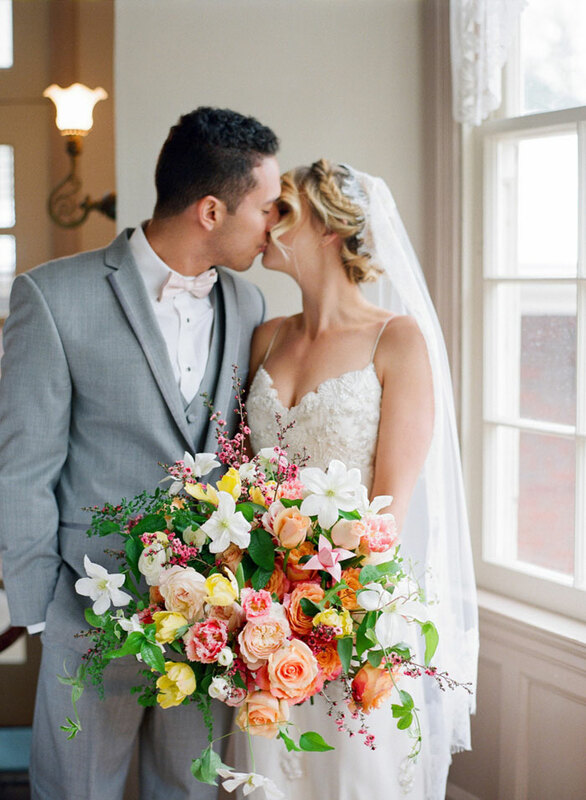 That bouquet is to die for! Thank you so much for the lovely feature!! !